Let us examine Article II Section 1 Clause 3 to analyze the details of that process. The Electors’ function was to nominate. The Electors shall meet in their respective states—one meeting of the Electors in their own state. It is significant to note that there was to be no connection with the Electors of other states, no campaigning, no trading of votes for future influence, or “supporting your program if you support mine.” They were to give it their best shot first—because that was the only shot they had. In fact, the Electors met in their separate states on the same day to avoid the chance of collaborating with the Electors from other states during this process. The Electors in each state were able to freely discuss among themselves which individuals were most qualified to be president. They were not, however, forced to conform to the nominations of other Electors from their state. Each Elector’s independent decision of which two individuals to nominate was preserved and respected. The Electors do not represent the interest of their state alone but rather the interest of the nation as a whole. 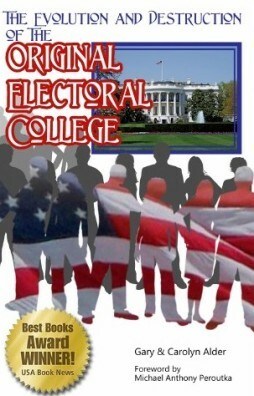 Realizing that the purpose of the Electoral College is only to nominate potential presidential candidates, it is evident that normally another body will make the final decision. That body is the House of Representatives. Even though the Electors meet by state, no individual state has enough influence to force any particular outcome on a national basis.